Welcome to the Bogolyubov Institute for Theoretical Physics, Kiev, Ukraine. Below you will find all the necessary information about the place of our workshop. The first excursion into the Ukrainian history can be done with use of Wikipedia. At the end of the 10th century Kiev Rus' spread from the Black Sea to the White Sea, from the Carpathians to the Volga River. Modern Kiev, Chernihiv and Pereyaslav were the centers of its territory. At present the Ukrainian territory is much smaller compared to Kiev Rus', but still is pretty large for the modern European scale. Total area is 603,700 sq km. Location: Eastern Europe, bordering the Black Sea, between Poland and Russia. During the reign of Yaroslav the Wise the Saint Sophia Cathedral(Ukr. : Sobor Sviatoyi Sofiyi, Rus. : Sofiys'kyi sobor) was built in Kiev (1037). It is an outstanding architectural monument of Kiev Rus'. Today, it is one of the city's best known landmarks and the first Ukrainian patrimony to be inscribed on the World Heritage List. We, Ukrainians, are very proud that despite many wars and occupations which happened during almost a millennium since its construction, this great achievement of the Old Rus', the Saint Sophia Cathedral, is preserved and can be seen along with its original mosaics and frescos of XI century. The cathedral's name comes from the Hagia Sophia cathedral in Constantinople, and it symbolizes the 'new Constantinople', capital of the Christian principality of Kiev, which was created in the 11th century in a region evangelized after the baptism of St Vladimir in 988. UNESCO World Heritage links: http://whc.unesco.org/en/list/527 and http://whc.unesco.org/en/list. One cannot imagine the Kiev's cultural life without Kiyv Pechersk Lavra (Ukrainian: Kyievo-Pechers'ka lavra; Russian: Kievo-Pecherskaya lavra), also known as the Kiev Monastery of the Caves, is a historic Orthodox Christian monastery in Kiev, Ukraine. Since its foundation as the cave monastery in 1051 the Lavra has been a preeminent center of the Orthodox Christianity in Eastern Europe. Currently, the Kiev Pechersk Lavra is a national heritage site and one of the four UNESCO World Heritage Sites within Ukraine. The complex serves as the official residence of Metropolitan Volodymyr (Viktor Sabodan), the head of the Ukrainian Orthodox Church. The word pechera means cave in Slavic languages. The word lavra is used to describe high ranking monasteries of the Eastern Orthodox Church. Therefore the name of the monastery is also translated as Kiev Cave Monastery, Kiev Caves Monastery or the Kiev Monastery on the Caves. Kievan Cave Monastery in the Encyclopedia of Ukraine and Wikipedia link. 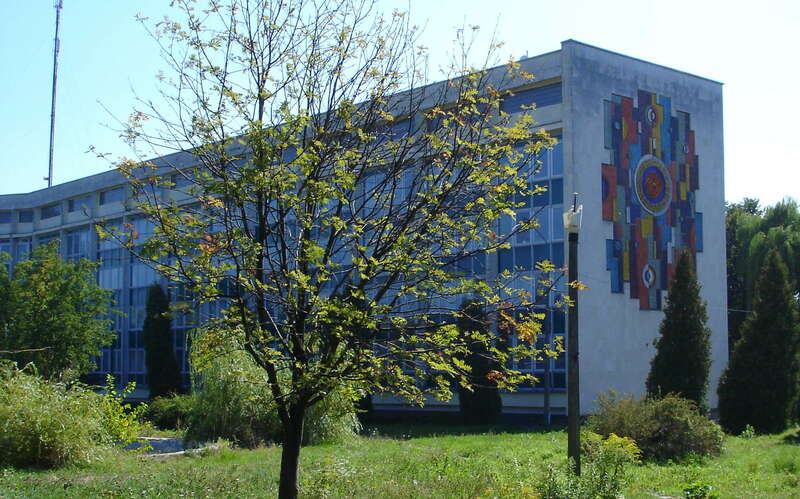 The Bogolyubov Institute for Theoretical Physics was founded in January of 1966 by N.N. Bogolyubov and V.P. Shelest. The BITP of the National Academy of Science of Ukraine (the former Academy of Science of Ukrainian SSR) is one of the world leading centers of theoretical physics. During more than 40 years of BITP history its staff members included several great theoreticians like the first director of BITP (1966-1973) academician N. N. Bogolyubov, academician A. S. Davydov who headed the institute between 1973 - 1988, academician A. G. Sitenko who served as the third director between 1988-2002. Presently the Bogolybov BITP has 125 staff scientists that include three full members of the National Academy of Science of Ukraine, two corresponding members of the National Academy of Science of Ukraine of Ukraine, 40 professors and 60 Ph Ds. Nowadays the BITP is headed by academician A. G. Zagorodny. The institute is located near the Theophania village and is an outstanding achievement of the Ukrainian architecture and painting. 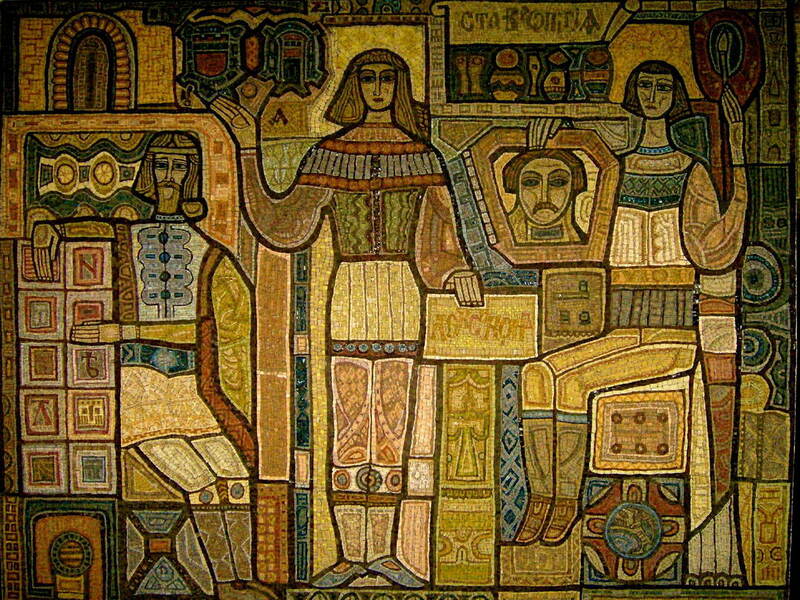 The institute's facade is decorated by mosaic "Plakhta", and its halls are decorated by the relief "Yaroslav Mudry" (Yaroslav the Wise), the mosaics "Physyka" (Physics) and "Kievs'ka Academiya" (Kiev's Academy), and the busts of the institute's directors. Today the Bogolyubov BITP continues the traditions of the great scientists of the past by keeping the atmosphere of scientific and intellectual freedom at the highest level. The benchmarks of our close ties with the cultural celebrities are the meetings with the legendary actors of the Taganka Theater (Moscow) Vladimir Vysotsky and Valery Zolotukhin (1972), with the legendary film maker and soviet dissident Segrey Paradzhanov (1988), with the famous poetess Lina Kostenko (1989), with leaders of the Ukrainian Studio of the Documentary Movies (1990) and so on. 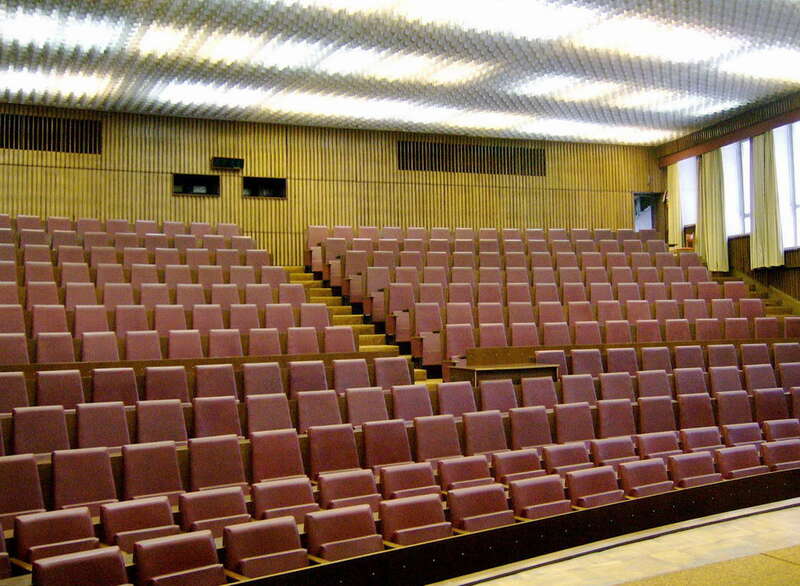 The conference plenary sessions will be held at the Conference Hall which is large enough (see photo) and is equipped with the necessary technics to make your conference presentations as comfortable as possible.